We know it’s still early but if you want to be prepared for the holiday season, now is the time to start getting ready. We aren’t talking about food — we’re talking about learning how to dance! 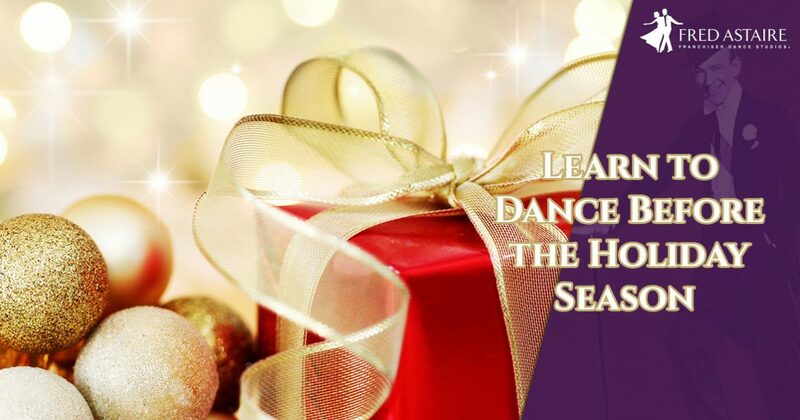 Like most people, you’re probably going to get invited to a lot of parties over the holiday season, and if you want to make a good impression on people, dance is a great way to do it! Impress your significant other when you take their hand and lead them onto the dance floor at your office holiday party, or show off your new moves to your friends and family members on New Year’s Eve. Dancing is a wonderful way to have a lot of fun and it will keep you moving and active during the colder months. Instead of sitting around and watching TV as the fall and winter progresses, head on over to the Fred Astaire Dance Studio in Reston to learn a new skill. If nothing else, dance will help you work off an extra helping or two during holiday meals! Contact us today to learn about some of the dance classes that we offer or to sign up for your first class! Our instructors are highly trained dancers who love helping people unlock their passion for dance.